We’ve had plenty of iPhone 6 leaks so far. Apart from the launch details of the upcoming flagship, these include pictures of alleged internal components belonging to the device. Ranging from Sapphire display panels to the fingerprint sensors on the device to photos allegedly of the battery and even the logic board of the device, we’ve almost seen it all. Well, you can add one more thing to that list. French site nowhereelse.fr seems to have gotten its hands on the home button parts allegedly belonging to the iPhone 6. This includes both the 4.7 inch and the 5.5 inch iPhone ‘Air’ phablet. The parts spotted by NWE sport quite a few differences when compared to previous part leaks. The parts pictured above are not the only parts spotted. 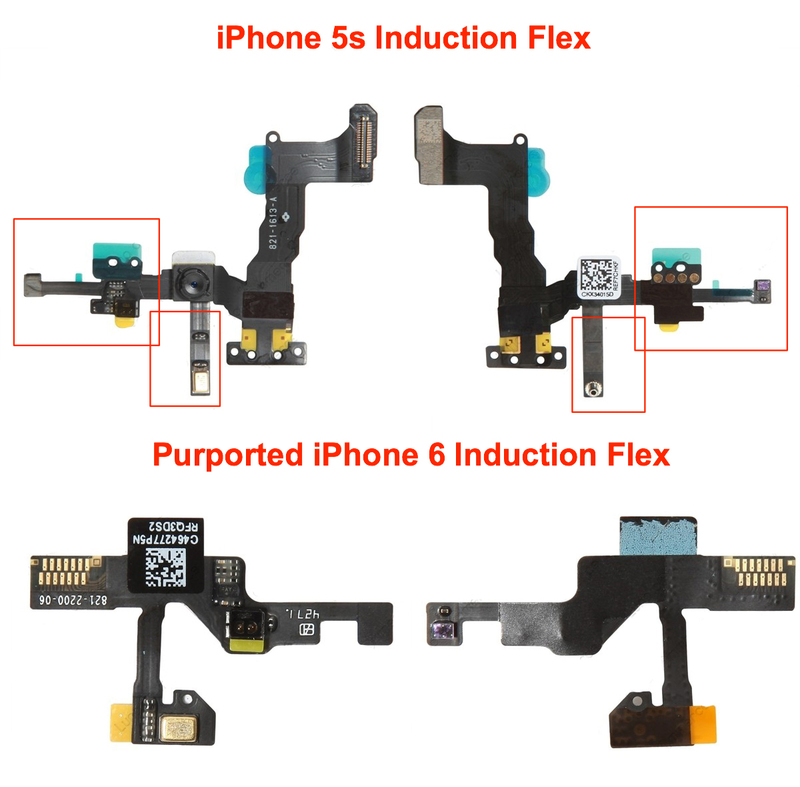 Other differences spotted included separation of proximity and light sensors are now disconnected from the photo sensor flex for the iPhone 6. As far as the authenticity of the components goes, the product number on them s the same for previous parts and leaks. For those curious, the serial number which belongs to Apple is 821-2200-06. 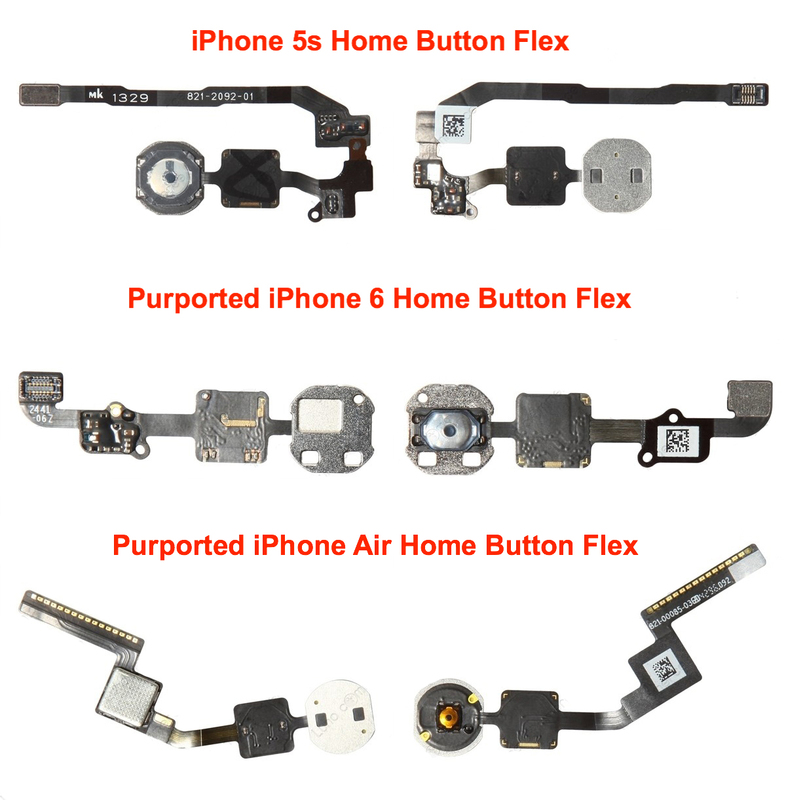 In addition, design for the home button cable is different for the trio of iPhone 5S, 4.7″ iPhone 6 and the 5.5″ iPhone Phablet. While the home button cable on the 5S looped with 180 degrees, the one on the iPhone 6 will be straight. As for the iPhone Air, the cable for the phablet will be slightly curved. Apple’s expected to launch the iPhone 6 this September and release it on its retail stores on October 14th.